When, in 2014, a teenage metal detectorist uncovered over 300 metal fragments in Dairsie near Cupar, little did he know how extraordinary a discovery it was. The Dairsie Hoard, as the fragments and vessels of silver became known, dates from the time of the Roman Empire, and sheds new light on Scotland’s place in the eyes of Rome. These so-called ‘silver sweeteners’ were sent beyond the northern border to keep the rallying hordes at bay — a policy not thought to emerge until a century later, making this a local discovery of European significance. 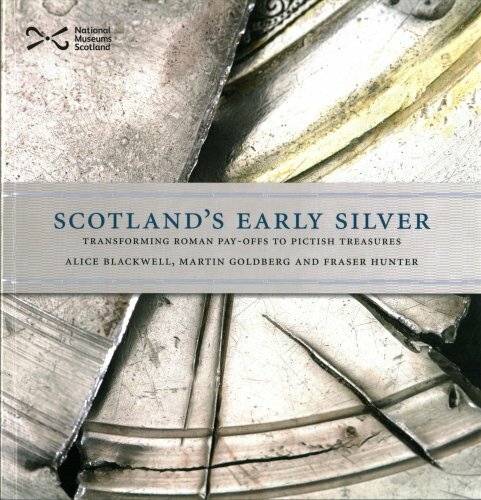 Alice Blackwell is Glenmorangie Research Fellow at the National Museum of Scotland and her work on Scotland’s Early Silver, a book and exhibition, explores the role of silver in the societies of first millennium Scotland. She joins us to explore the significance and impact of the Dairsie Hoard over a small winter warmer courtesy of her colleagues at Glenmorangie.